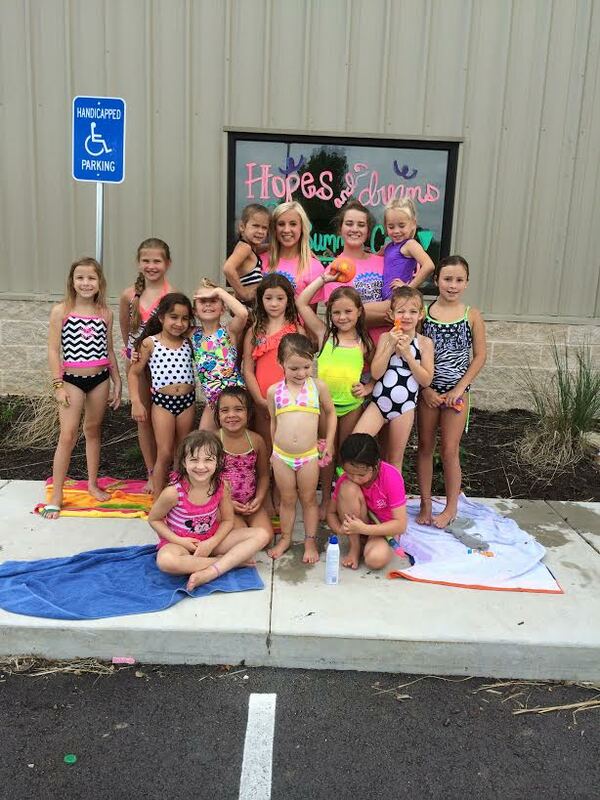 Summer Camps at Hopes & Dreams Gymnastics are so much fun! We do gymnastics and crafts. We make wonderful friends. 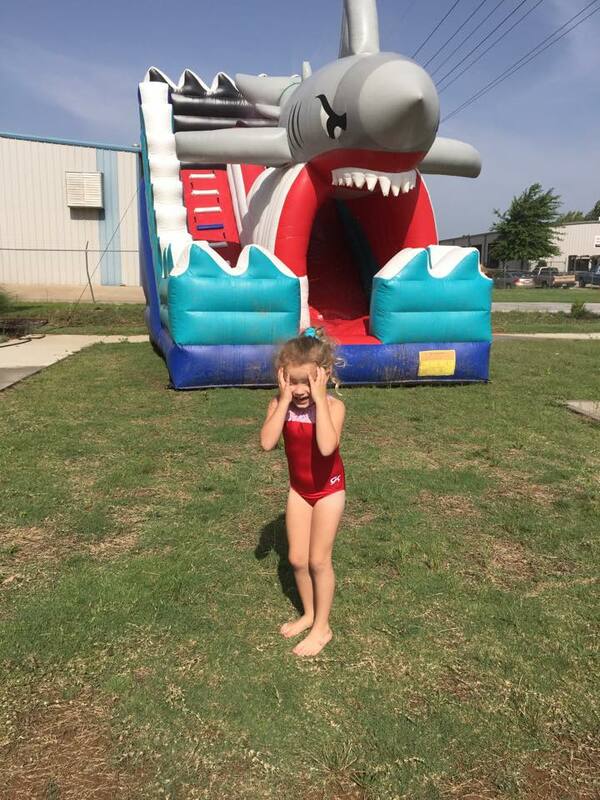 On Fridays we spring and splash under the sun with huge blow up slides, and other fantastic water day play activities. You may register your child anytime until the camp is full. However, our early bird discounts expire the 10th of the previous month. Boys or Girls may wear tucked in T-shirts and shorts or other athletic wear. Girls may wear leotards, no bows or other large hair ornaments that may cause discomfort during activity, no hoodies, jeans or any other apparel with zippers buttons or bows may be worn to class. 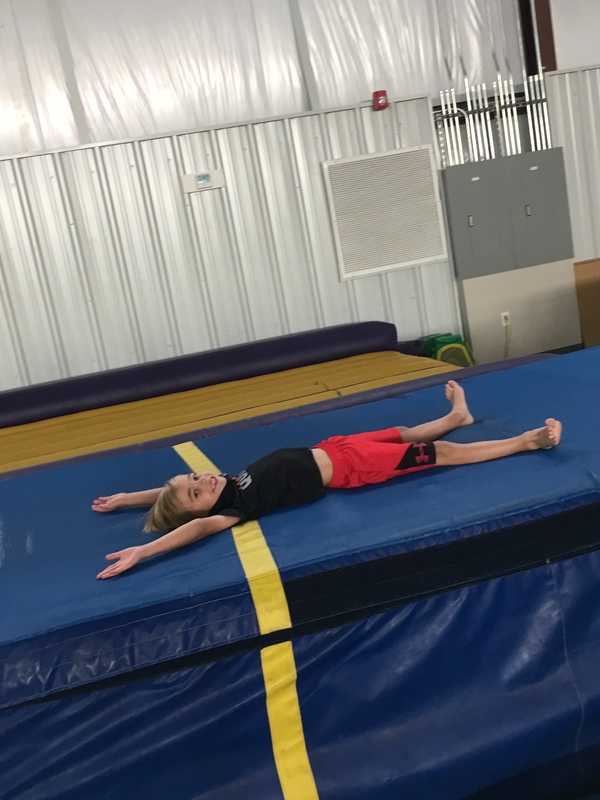 No shoes are needed for gymnastics. Hair should be pulled neatly and securely away from the face so that it stays up for the entire workout. Personal items should be left at home. Jewelry should not be worn during classes. PLEASE leave jewelry and other valuable items like cell phones at home. This facility's staff will not be responsible for ANY items that may be lost or stolen. Be sure your student's personal items are marked with their name. 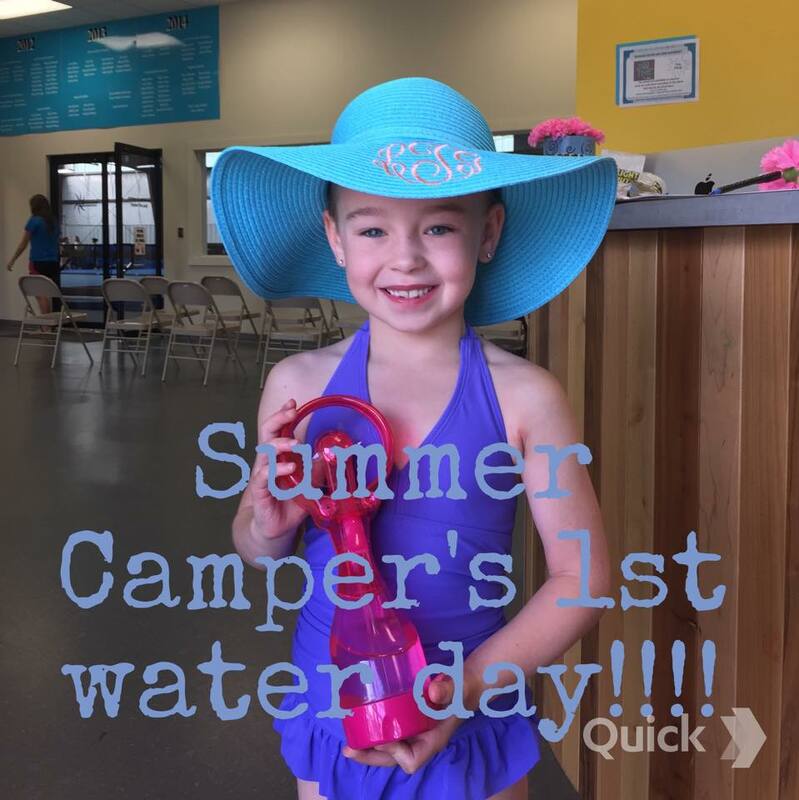 Friday is water day at camp! Please make sure your child has a swimsuit, shoes, towel and dry clothes. Please make sure all campers come with sunscreen already applied or with their own sunscreen labeled with their name on it. 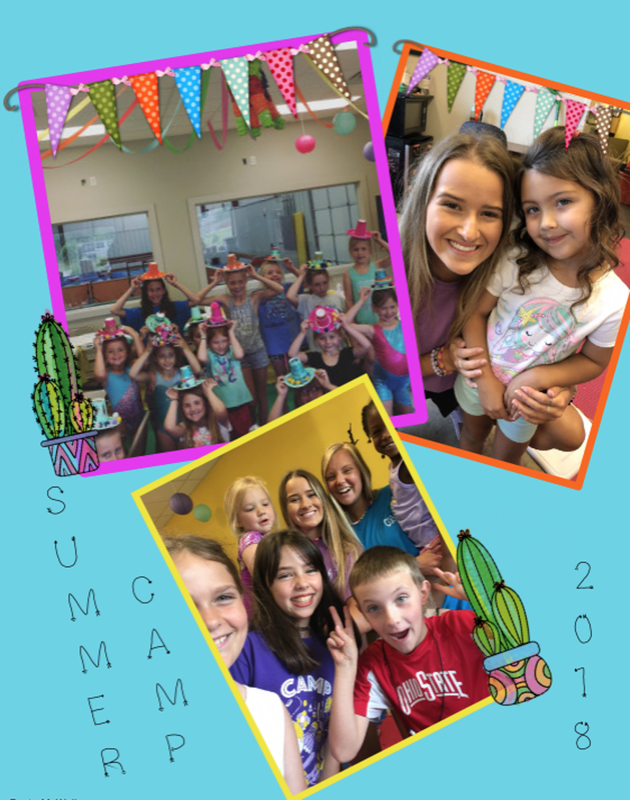 Campers attending the full day will have a "lunch club" break from 12pm-2pm in which they will eat, watch movies play quiet board games or do small crafts set aside for lunch club. 12:00- All campers registered for morning only sessions must be signed out by an authorized adult by noon. You will be charged $5.00 for every 5 minutes they are late getting picked up. 6:00- All campers must be signed out by an authorized adult by 6pm. You will be charged $5.00 for every 5 minutes they are late getting picked up. * Pay for 3 Camp for 4- Campers who register for 4 weeks at the time of the first registration will get their fourth week free. You must call our office to receive this discount. Deposit for each camp due when registering camps. 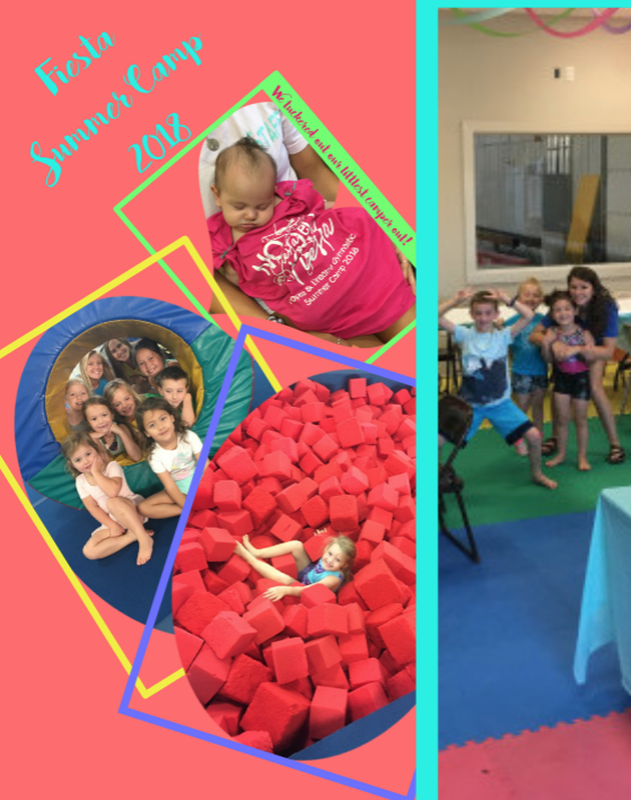 ** Sibling Discount- Siblings registered for a full week will receive $10 off one-half day or $20 off their full day camps. Wednesday the week prior to your child attending camp. **Cancellation Policy- No refunds if you cancel your camp within 14 days of camp. **We do not combine discounts!!!!!!!! ***Camp tuition is non-refundable but transferable, in case of illness only. Doctors note required.